You’ll Get and Keep A Lot More Clients! 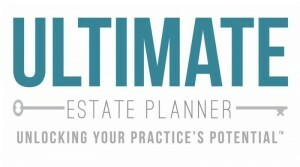 Whether you’re a financial advisor, CPA or attorney, your never-ending practice building challenge is to keep more of your existing clients for the long term and, when they die, continue to serve their beneficiaries as clients. One way to meet this challenge is to inform your clients with sizable IRAs (and their beneficiaries) of the big mistakes made when IRAs are inherited. - - in plain, simple English - - and show them how you can help them avoid (or correct) these costly mistakes. Nationally renowned CPA and IRA expert, Michael Jones, has put together a simple, time-tested approach to educating your clients (and their beneficiaries) about inherited IRAs, so you get and keep more of them. What’s the “stretchout” value to the beneficiary? What are “RMDs” and how are they calculated (depending on whether the inheritor is the surviving spouse, another person, or one of several beneficiaries)? What are the special choices available only to an inheriting spouse? What happens when the person who first inherited the IRA dies and the next beneficiary inherits it? What are the top five mistakes made when inheriting an IRA - - and how can you avoid (or correct) them? 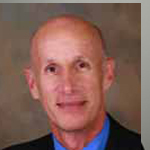 Michael J. Jones, CPA is a partner in Thompson Jones LLP, Monterey, California. His tax consulting practice focuses on estate planning and administration of retirement benefits, sophisticated wealth transfer strategy, trust and probate matters (both administration and controversy resolution), and family business transitions. Mike is the author of Inheriting an IRA and Final Regulations Governing Required Minimum Distributions, a special supplement to The Pension Answer Book. He has written over 100 published articles. Mike serves as Chair of Trusts and Estates magazine’s Retirement Benefits Committee. He has been quoted in New York Times, Forbes Magazine, The Wall Street Journal, Ed Slott’s IRA Newsletter, Bloomberg Financial Report and others. Mike has served as adjunct faculty at Santa Clara Law School, and has spoken extensively for the Jerry A. Kasner Symposium, Southern California Tax & Estate Planning Forum, Hawaii Tax Institute, American Institute of CPAs, New York University’s Tax Institute, California CPA Education Foundation, and others.